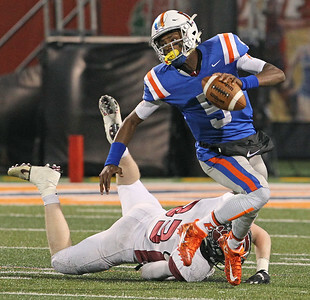 H. Rick Bamman - hbamman@shawmedia.com Plainfield North defensive end Tim Donahue dives to trip up East St. Louis quarterback Reyondous Estes in the second quarter in the Class 7A State Football final Saturday, Nov. 26, 2016. H. Rick Bamman - hbamman@shawmedia.com Plainfield North quarterback Brady Miller directs his offensive linemen in the second quarter against East St. Louis in the Class 7A State Football final Saturday, Nov. 26, 2016. 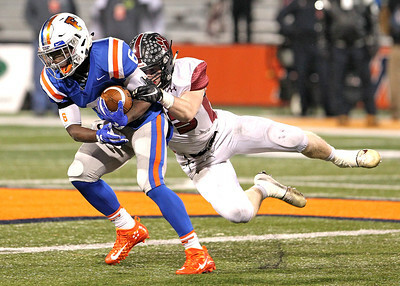 H. Rick Bamman - hbamman@shawmedia.com Plainfield North's defensive end Tim Donahue brings down East St. Louis running back Jarrell Anderson in the second quarter durning the Class 7A State Football final Saturday, Nov. 26, 2016. 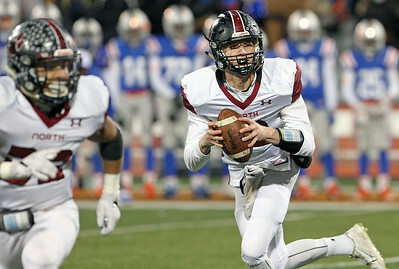 H. Rick Bamman - hbamman@shawmedia.com Plainfield North quarterback Brady Miller moves out of the pocket in the second quarter against East St. Louis in the Class 7A State Football final Saturday, Nov. 26, 2016. H. Rick Bamman - hbamman@shawmedia.com Plainfield North's Anthony Fumagalli returns a second quarter interception against East St. Louis in the Class 7A State Football final Saturday, Nov. 26, 2016. 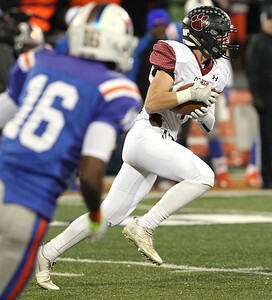 H. Rick Bamman - hbamman@shawmedia.com Plainfield North quarterback Brady Miller runs 60 yards for a touchdown in the fourth quarter in the Class 7A State Football final Saturday, Nov. 26, 2016. 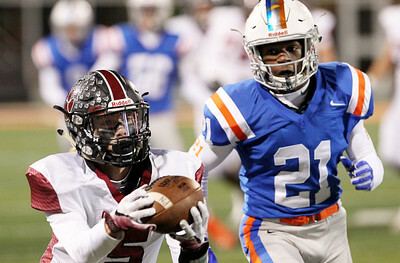 Plainfield North lost, 26-13. 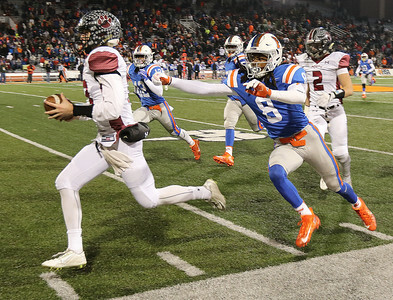 H. Rick Bamman - hbamman@shawmedia.com Plainfield North quarterback Brady Miller runs 60 yards for a touchdown in the fourth quarter as out rEast St. Louis defender Markevion Darough pursues the play in the Class 7A State Football final Saturday, Nov. 26, 2016. 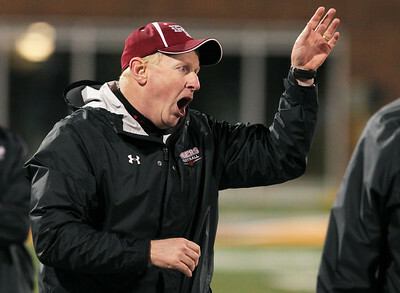 H. Rick Bamman - hbamman@shawmedia.com Plainfield North head coach Time Kane shouts instructions to his defense in the second quarter against East St. Louis in the Class 7A State Football final Saturday, Nov. 26, 2016. H. Rick Bamman - hbamman@shawmedia.com Plainfield North's Brady Miller celebrates his fourth quarter touch down with Ari Ekowa in the Class 7A State Football final Saturday, Nov. 26, 2016. 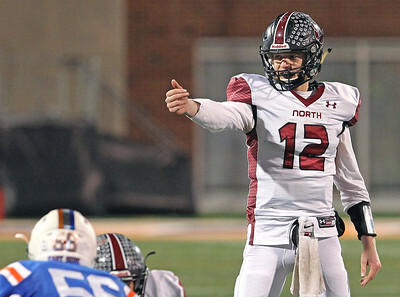 Plainfield North lost, 26-13. 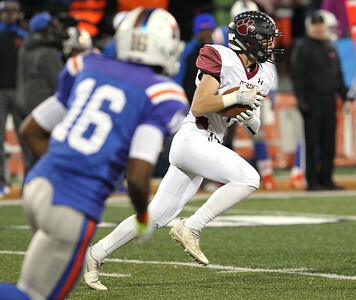 H. Rick Bamman - hbamman@shawmedia.com Plainfield North's Connor Peplow grabs a Brady Miller pass for a 18 yard gain in front of East St. Louis Malcolm Bell in the third quarter in the Class 7A State Football final Saturday, Nov. 26, 2016. 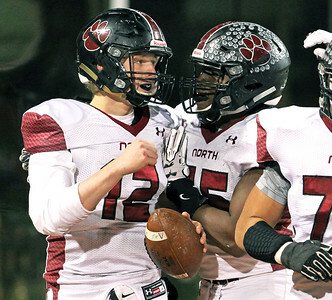 Plainfield North lost, 26-13. H. Rick Bamman - hbamman@shawmedia.com Plainfield North's Ryan Paige (from left), Kevin Block with the second place trophy and Ryan Krystofiak walk off the field after their second place finish in the Class 7A State Football final Saturday, Nov. 26, 2016. 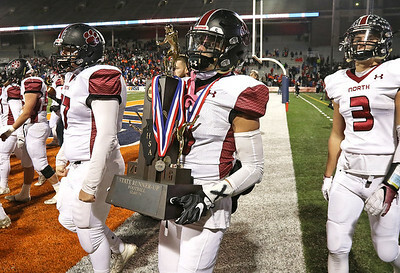 Plainfield North's Ryan Paige (from left), Kevin Block with the second place trophy and Ryan Krystofiak walk off the field after their second place finish in the Class 7A State Football final Saturday, Nov. 26, 2016.